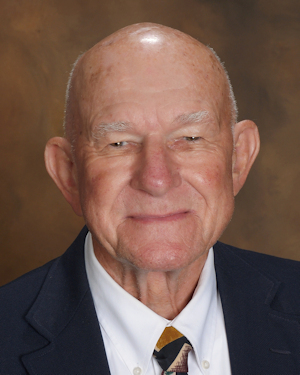 Honor Roll Member – Zavodny, Dr. Eugene Nance « Perry High School Alumni Association, Inc.
Gene began his education in a one-room school through 5th grade. From 6th grade on, attending Perry schools required a 30-mile round trip by bus. After graduating with a BSME from OSU, he began working at the Martin Company near Denver on the Titan ICBM (intercontinental ballistic missile), then returned to OSU to earn a MSME, receiving a National Science Foundation fellowship. Eventually Gene transferred to the Martin Company’s nuclear research laboratory near Baltimore conducting research in magnetohydrodynaics. Gene realized a life-long dream of working on the first rocket to the moon when he had the opportunity to work on the Apollo program with North American Aviation in Tulsa. (North American Aviation merged with Rockwell to become Rockwell International.) He was primarily assigned to the Command Module radiators, part of the Service Module structure. Gene completed a PhD in Chemical Engineering at Tulsa University by attending night school while working at Rockwell. A move back to Oklahoma led to working on industrial shock absorbers at a small company in Guthrie called Efdyn. While continuing to do Efdyn’s engineering part-time, Gene then worked for OSECO (Oklahoma Safety Equipment Company), manufacturer of rupture disks (over-pressure protection devices). He retired from OSECO, but still serves as a consultant for Efdyn. Gene is married to PHS graduate Laural Hirschman (Class of ‘55).